Cooking with Ashi Chan: LA Cosplay Contest! Hello! These past few weeks have been crazy awesome. As you know, the show I' m directing opened Friday and I'm excited to see it evolve next week. 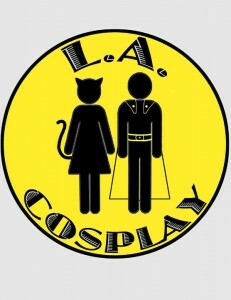 Today, I participated in The LA Cosplay Contest, with The FireRose Co. for the Benefit of the Arts. I chose to do my Poison Ivy Burlesque that is also in The play. Though I did not win the contest, I completely understand. The prize was contacts with JPop agents, not Talent Agents, so I am VERY Excited that the girl who won, Won! She was fantastic! Her energy was great, she commanded the audience, and she really deserved it. So happy about how it turned out though. I ended up meeting several people in the Biz, including the voices of Timmy Turner and Spongebob. I got to pass my information to several people in the theater world, I made a fan, and I got interviewed! Yes. I GOT INTERVIEWED! I'm going to take this victory, as a sign that I am moving forward in my Cosplay Artist dreams. Everyday has been such a blessing and a solid step toward my goal, it has been wonderful. I remember the months trying to get the nerve to just ask someone to interview Them. Now I see people wanting to interview Me @@ Its fantastic! My favorite part was my new fan. When the show was over, she came out and stopped me. Not only did she witness all my emotions, she said I Inspired her. If I can inspire one person to continue their art and keep working, then I AM A STAR. Thank you sweetheart. It means so much to me to know there are those out there who believe in me and I Believe in You. Great luck and broken legs to you too. I know that one day we will all make our dreams come true. With Faith in Ourselves, Hope for the future, and Love for each other, The Nerd World will be united, one performance at a time.